My cherry tree is absolutely amazing this year! The blooms are every shade of pink and so abundant that you have to get a closer look. 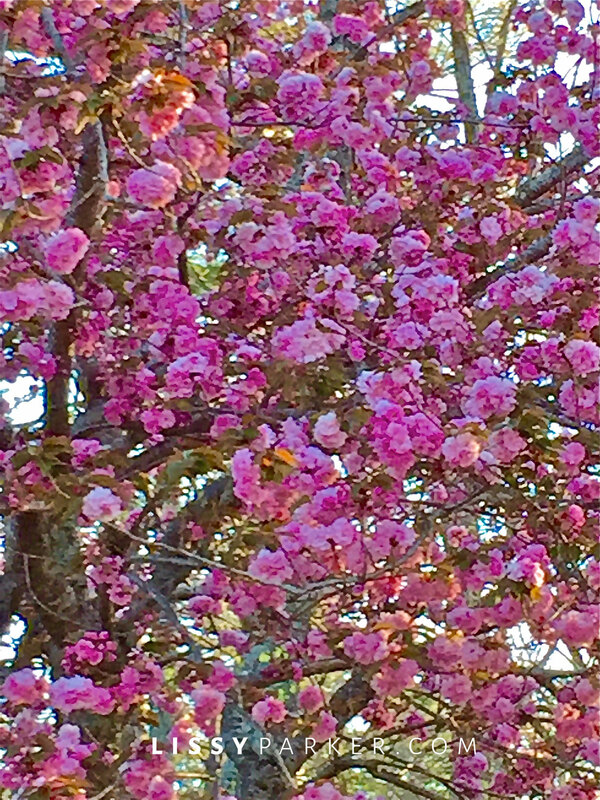 The spring in North Carolina has been a little slow this year but this tree’s neon blooms just made my day. Have a pink-filled weekend—and remember to always look for the ‘blooms’ in life. B E A U T I F U L! Love the one with the Carolina Blue Sky! Thanks—I never tire of the clean, crisp air! Frances, Thank you for following me! It is always great to hear that I have brightened someones day—that is my reason for writing the blog.